Widden Stud's Sebring was once again at the forefront of black type racing at both Flemington and Rosehill on Saturday, and we have a lovely yearling colt from Karaka available to race by the stallion. The star sire had stakes performers in both the three-year-old features on Saturday - the CS Hayes Stakes and Vanity - as well as a two-year-old placegetter in the Silver Slipper Stake in Sydney. To check out the Sebring colt, pictured, that we picked up in New Zealand, who is out of black-type winning mare click on the link below. 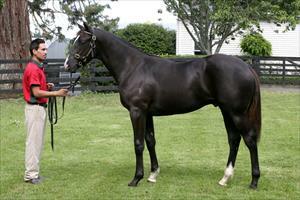 Pins was also in form in feature racing at the weekend with two of the placegetters in NZ Oaks lead-up his progeny. We also have a colt by him available to race. For more information on these two colts and other horses that we have available click on the link below.